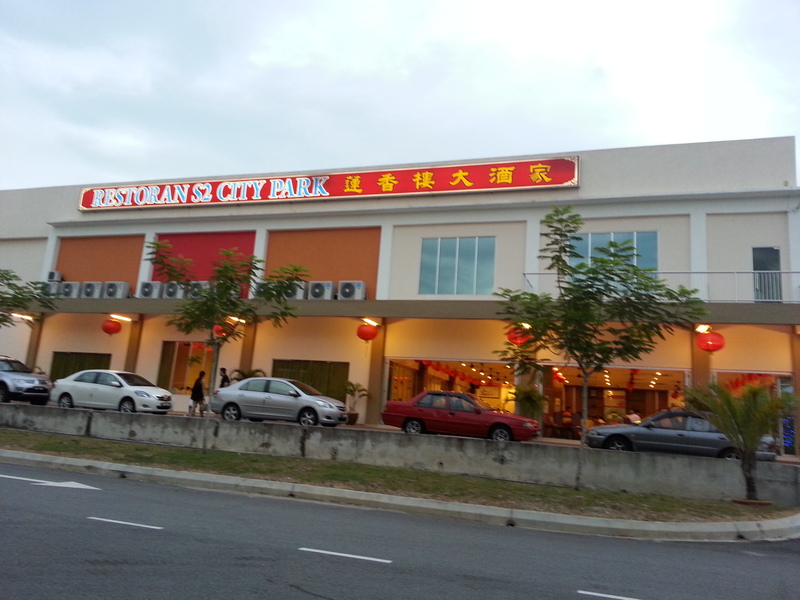 Balik Kampung….Gong Xi Fa Cai lor…..
Chinese will be celebrating the Chinese New Year on this 10th of February. An important day celebrated among the Chinese. I assume these few days people shall be balik-ing kampung. Tomorrow I will be flying to Sarawak, Alex’s kampung. As usual we will go back days earlier before Chinese New Year. One of the reason is that the flight ticket will be cheaper. Kesian people there…need to buy flight ticket as early as 1 year before hand. 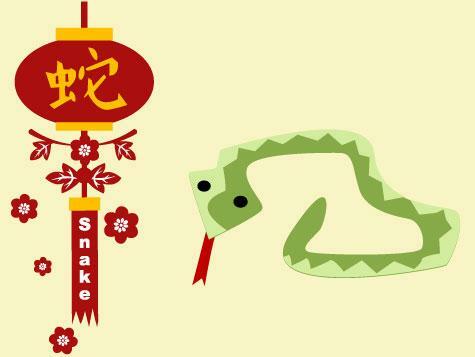 This year is the year of Snake. So, I shall snake throughout the year. Pssssttttt…. Sorry Boss…can’t help. The zodiac ask me to do that. Before taking off…I shall have an early reunion dinner with my family. So, we came here for dinner. And had this set of Chinese New Year package to accommodate 6 eaters. Yee Sang commonly serve here in West Malaysia but not in East Malaysia. Lets toast for a better year. Lou ar….Huat ar…. So, I will be celebrating my Chinese New Year in Sarawak and also Seremban! 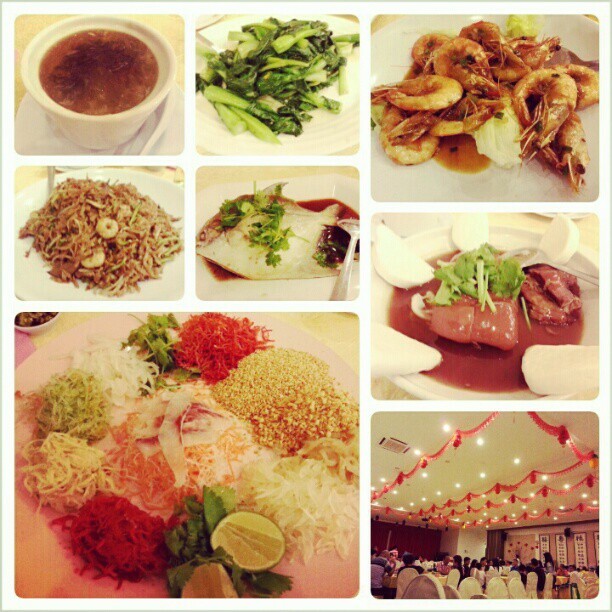 Where will you be celebrating your Chinese New Year? To friends who are driving..please don’t rush and have a safe journey home. I hereby wish everyone an early Gong Xi Fa Cai!! Gong xi fa cai! have a fab time with your loved ones! Gong Xi Fa Cai & Happy Valentine’s Day! 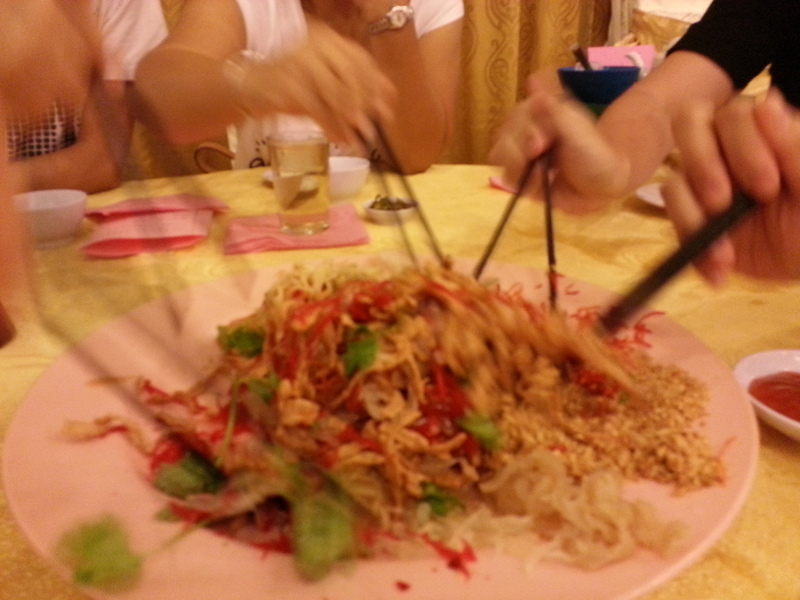 I have no idea yee sang is not common in east malaysia..